I was born in Idanre, a hilly ancient town in Ondo State, but I have spent more years in Lagos than in any other city in the world. Since the early sixties when I used to spend holidays with my cousin, Professor Ayo Akinbobola (1942-2008) at 92, Ogunlana Drive (Bus Corner) in Surulere, Lagos, along with another cousin of mine, Chief Babu Akinbobola (now 66), Lagos has always been my focus. No matter my sojourn in the country, be it in Eket, Calabar, Ogoja, Katsina, Bendel, Akure, Owerri, Maiduguri, Sokoto and many other cities, including, of course, Abuja—that artificial city—I always love to come back to Lagos—a city that never sleeps. In the past, Ikoyi was the best place to be in Lagos, hence my disappointment that the names of places we cherished in the past have been changed. A fact that can’t be erased is that we were once colonised by the British and Lagos was also once the capital of Nigeria. Another fact was that some streets in Lagos, especially in Ikoyi, were named by the British to remind us that they were once here. Cameron Road was named after Sir Donald Charles Cameron (1872-1948). He was a British colonial governor. In April 1925, Cameron became the second governor of the British mandate of Tanganyika, taking over from John Scott, who was acting governor for Sir Horace Byatt. From 1931 to 1935, he was governor and commander-in-chief of Nigeria. Glover Road was named after Sir James Hawley Glover (1829-1885). He was a Captain in the British Royal Navy and later a colonial governor. On April 21, 1863 he was appointed administrator of the government of Lagos Colony. Victoria Island in Lagos was named after Queen Victoria (1819-1901), who was the Queen of the United Kingdom and Ireland from June 20, 1837 until her death. From May 1, 1876, she adopted the additional title of Empress of India. Milverton Road in Ikoyi was named after a British peerage. Baron Milverton, of Lagos and of Clifton in the City of Bristol, is a title in the Peerage of the United Kingdom, created in 1947 for the colonial administrator Sir Arthur Richards. He had previously served as governor of Nigeria. As of 2010 the title was held by his eldest son, the second Baron, who succeeded in 1978. Moloney Street in Lagos was named after Sir Cornelius Alfred Moloney KCMG (1848-13 August 1913), who was a colonial administrator. He served as British administrator of the The Gambia from 1884 to 1886, governor of Lagos Colony from 1886 to 1890, governor of British Honduras from 1891 to 1897, governor of the Federal Colony of the Windward Islands from 1897 to 1900, and governor of Trinidad and Tobago from November 1900 to 1904. Clifford Street in Lagos was named after Sir Hugh Charles Clifford (1866-1941) who was a British colonial administrator. In 1903, he left Malaysia to take the post of colonial secretary of Trinidad. Later he was appointed governor of the Gold Coast (1912-1919), Nigeria (1919-1925), and Ceylon (1925-1927). Eric Moore Street in Surulere, Lagos was named after Eric Olawolu Moore, a member of the colonial legislative council and the first Lagos member of the united committee of experts and adviser on labour conventions and regulations. He was the father of Kofo Moore, the wife of Sir Adetokunbo Ademola, first Chief Justice of the Federation, who also established New Era Secondary School in Surulere, Lagos. Denton Street in Ikoyi was named after George Chadin Denton (1851-1928) who was the colonial secretary of Lagos in 1900. 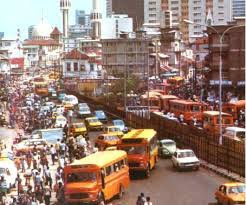 Freeman Street was named after Sir Henry Stanhorp Freeman (1831-1865) who was the first governor of Lagos (1862-1865). He took over from acting Governor William Mccorskty. Alexander Avenue was named in honour of Cyril Wilson Alexander (1879-1947) who was governor of the Southern provinces of Nigeria between 1929-1930. Egerton Street was named in honour of Sir Walter Egerton (1858-1947) who was the first governor of the colony of Southern Nigeria between 1906-1912. Osborne in Ikoyi was named after Jack Osborne, who died on August 15, 2012 at the age of 103. He served with Chindits behind enemy lines in Barma, commanding Nigerian troops during World War Two. Lugard Street in Ikoyi was named after Sir Frederick John Dealtry Lugard (1858-1945), a former governor general of Nigeria. Sir Lugard also named Port-Harcourt in honour of Sir Lewis Vernon Harcourt (1863-1922), who was the British secretary for the colonies between 1910-1915. Lord Harcourt’s nickname was “Loulou”. Macgregor Street in Ikoyi was named after Sir William Macgregor (1846-1919) who served as governor of Lagos Colony from 1899-1904, where he instituted a campaign against the malaria that was prevalent then. Thompson Street in Ikoyi was named after Sir Graeme Thomson (1875-1933). He was appointed as secretary for Ceylon in 1919, then governor of British Guiana in 1922 and and of Nigeria in 1925. Adeniyi Jones Street in Ikeja was named after Dr. Curtis Crispin Adeniyi-Jones (1876-1957), a Nigerian doctor and politician. His son, Femi is at present a member of the guild of Stewards at the Cathedral Church of Christ, Marina, Lagos. Macpherson Street in Lagos was named after John Stewart Macpherson (1898-1971). He was a British Colonial administrator who served as governor general of Nigeria from 1948-1955. He was responsible for the introduction of the Macpherson constitution of 1951, which provided for “semi-responsible government”. His ADC during his tenure was General Johnson Thomas Umanakwe Aguiyi Ironsi (1924-1966), who later became the Head of State of Nigeria from January 1966 to July 1966. Carter Bridge in Lagos was named after Sir Gilbert Thomas Carter (1848-1927), who was appointed governor and commander-in-chief of the Colony of Lagos on February 3, 1891. Carter ordered an attack on the Ijebus in 1892. He travelled to various parts of Yorubaland, accompanied by soldiers, in an attempt to demonstrate the might of the British. Initially, Carter was not well received in Oyo, and the Egba chiefs advised him not to interfere with slavery, while the Ibadan chiefs said they were afraid that their slaves would “assert their freedom by running to the Resident” – and hence they refused to sign a treaty with Carter. However, in January 1893 the Egba chiefs signed a Treaty of Independence with the British government. It was agreed that freedom of trade between the Egba nation and Lagos was to be guaranteed by the British government, in return for which no road would be closed without the approval of the governor. They further agreed that complete protection and “every assistance and encouragement” would be afforded to all Christian ministers”. The British agreed that “no annexation on any portion of Egba Nation shall be made by her Majesty’s Government without the consent of the lawful authorities of the nation, no aggressive action shall be taken against the said nation and its independence shall be fully recognised.” He was promoted Knight Commander of the Order of St. Michael and St. George (KCMG) on June 3, 1893, “in recognition of his services in conducting a mission to the Yoruba country which resulted in the negotiation of important treaties and brought to an end a long-standing war”. Carter was given Ife works of art in 1896 by the Ooni, Oba Adelekan Sijuade, in the hope that a decision in his favour would be made about the resettlement of Modakeke residents outside Ife city. These works (including three known as the Ife marbles), were sent by Carter to Europe. Towurojoye Adegboye, Arubuefin I, during which Idanre was ceded to be part of the British territory. A copy of the treaty is still with the present Owa of Idanre, Oba Frederick Gbolagunte Adegunle Aroloye, Arubuefin IV. After his tenure in Nigeria, he was transferred to Barbados as governor and he built the Governors’ Residence there in 1904. That house which is still the official residence of the Prime Minister of Barbados was designed by Lady Gilbert Carter, wife of former Governor Carter. The house was named by Governor Carter as Ilaro Court on Tweedside road, St. Michael in Barbados. He named the house in remembrance of Ilaro which today is the headquarters of Yewa South, Ogun State. He died on January 18, 1927 in Ilaro Court. The British did it their way when they were here and what they did is part of our history which we are still coping with today. In his book titled, Character and Opinion, George Santayana wrote that “things have their days and beauties in that day. It would be preposterous to expect any civilisation to last forever”. 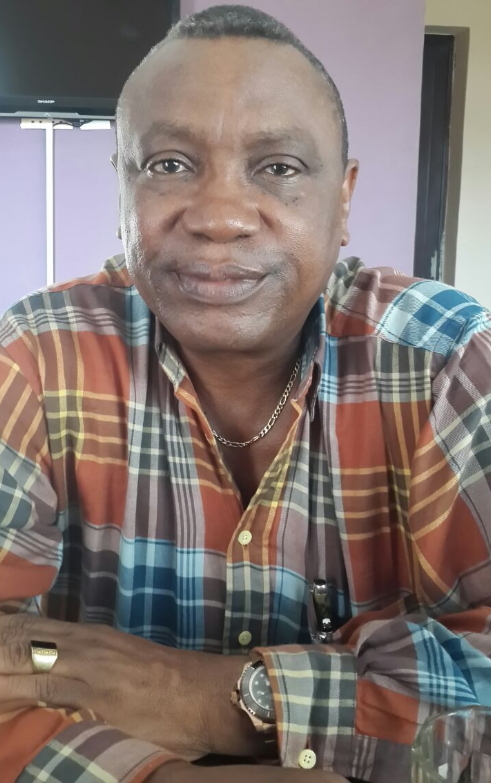 About the author: Eric Teniola, a former Director in the Presidency writes from Lagos.